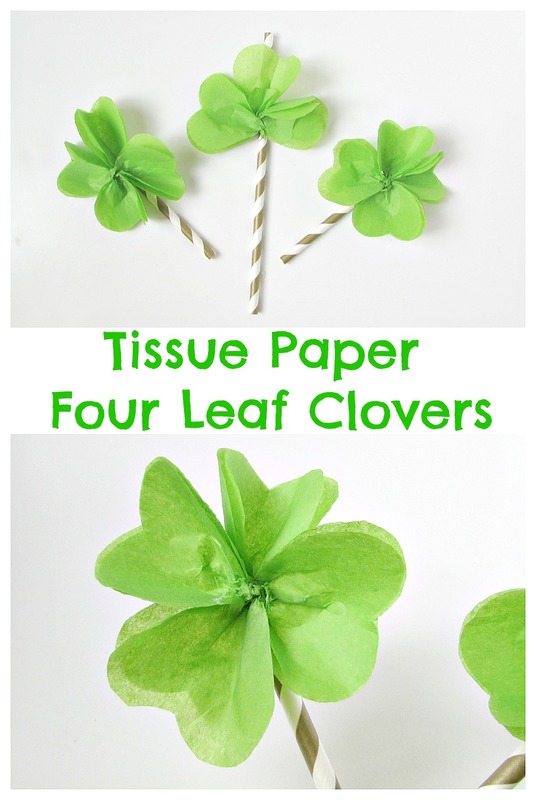 Today’s tutorial for these fun tissue paper four leaf clovers is courtesy of our contributor Val from Val Event Gal. 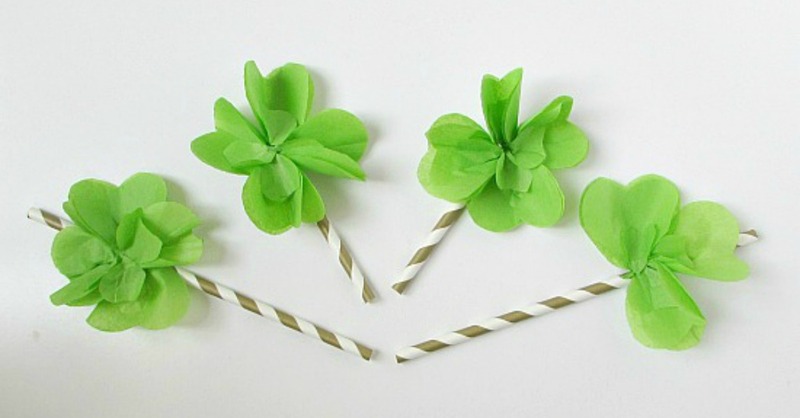 They are great for your upcoming St Patrick’s Day celebrations. The luck of the Irish! 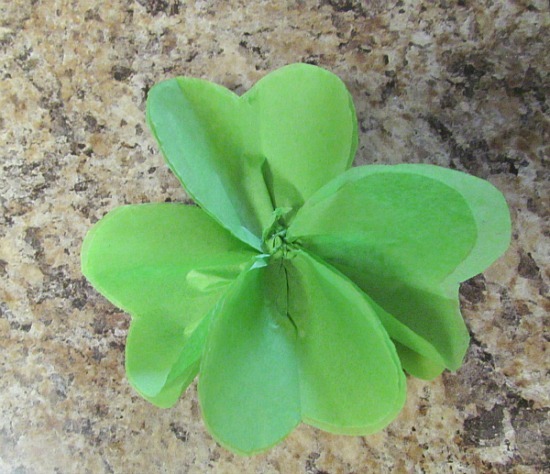 I am hoping to bring myself and others lots of luck with these tissue paper four leaf clovers. I’m not sure if paper four leaf clovers are lucky but they could be. I remember when I was a kid I was always looking for four leaf clovers. I would get so excited if I actually found one. You have to search through a lot of three leaf clovers to find that one lucky four leaf. I’m not sure if they brought me good luck but I always liked the idea of four leaf clovers. For the clovers I used heart cookie cutters since the leaves of four leaf clovers look like little hearts. 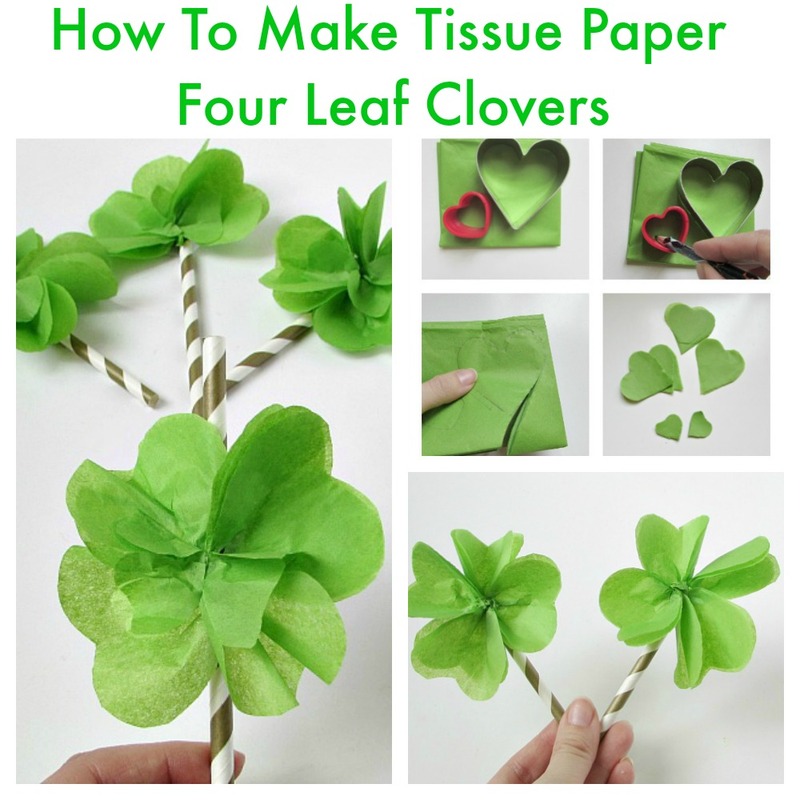 These tissue paper four leaf clovers are fun to make for a party or crafts. You can put them on paper straws for toppers on treats or drinks. 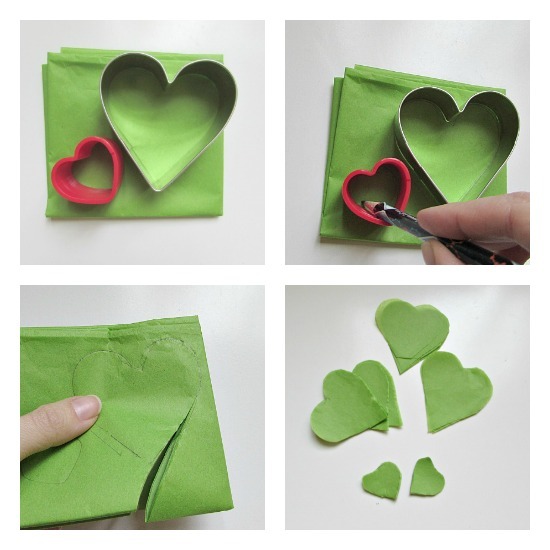 Fold one piece of green tissue paper into a square slightly larger than a heart cookie cutter. If you don’t have a cookie cutter you can also just draw a heart by hand. I had a heart cookie cutter from Valentine’s Day so I just used that for the heart shape. I also drew smaller hearts with a heart slinky (this is optional). You can trace right inside the cookie cutter or around the outer edge whichever is easier. Cut out the heart shapes. 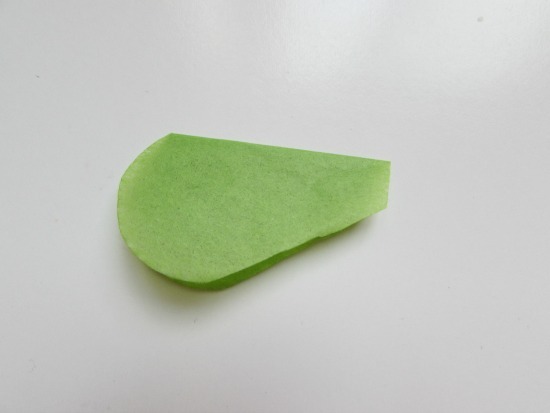 Take two of the cut out heart shapes and fold them in half together, as shown above. Put your thumb into the top of the folded heart and twist the bottom of the hearts around a couple times. Repeat with three more hearts to make four leaves. Twist the hearts together two at a time forming a circle shape. You can make some with 3 leafs and some with four. Glue them together in the middle. 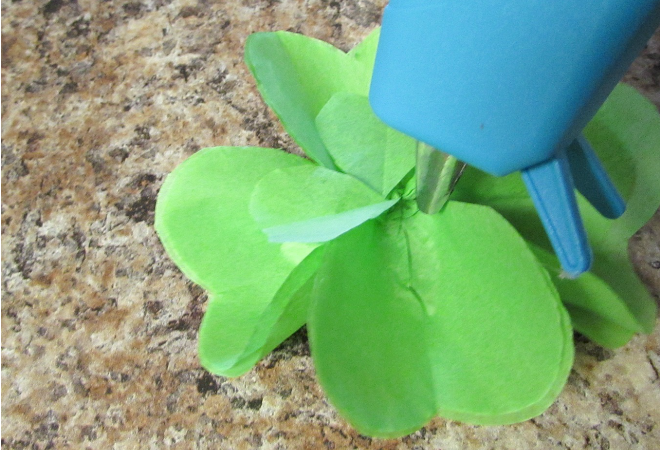 You can cover up the glue with the smaller heart shapes (one on each leaf) or glue them together in the back. Then tape or glue them to paper straws. 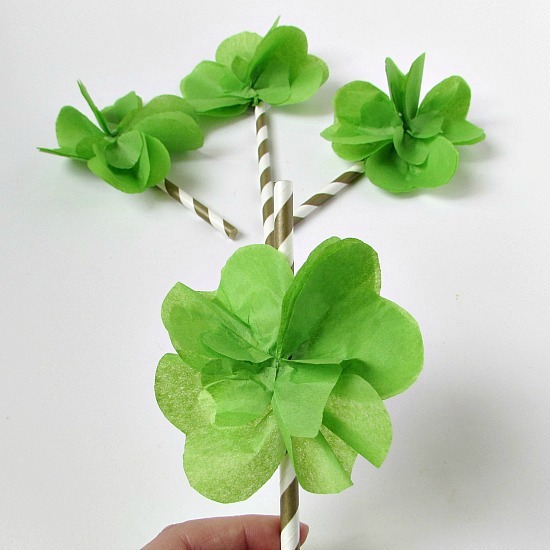 If you are using them for toppers I cut the straws in half and then taped the clovers to the top. For straws I taped them a couple inches from the top. Since they are tissue paper make sure to use small cups if using them for straws because otherwise they will get wet. I just love how bright and cheerful they look. Green is an underrated color in my opinion and I just love being able to use it on St. Patrick’s Day! 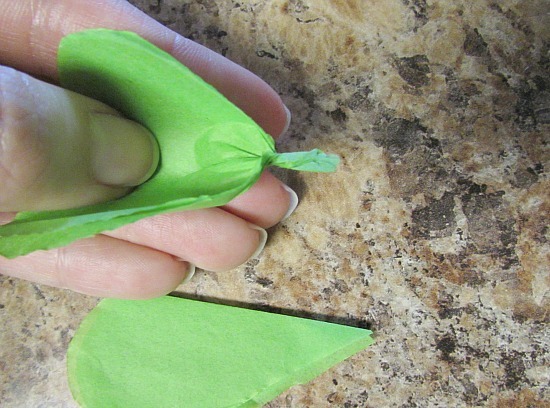 You can also use this technique to make tissue paper flowers by simply adding different colors. 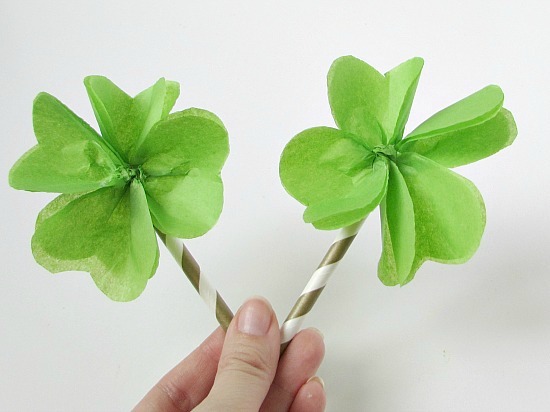 What type of crafting do you like to do with the four leaf clover? These are super adorable! I never would have thought to use a heart cookie cutter to get the shape just right. Thank you for sharing at Merry Monday!